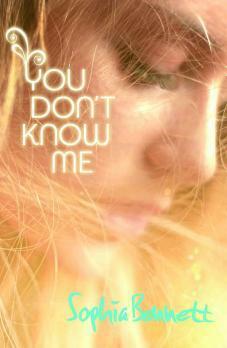 You Don’t Know Me is set in the fictional town of Castle Bigelow. It’s somewhere in Somerset, and old market town set among rolling fields, where the many of the young people take the local beauty for granted and can’t wait to escape to the big city, where they can fulfil their dreams. Having set four books in London, where I’ve lived on and off since my twenties, I wanted to write about growing up somewhere that feels ‘ordinary’, to its restless local teens. I certainly felt some of that, spending some of my early years in a small town outside London, and then later at a boarding school slap bang in the middle of the Sussex countryside. It was beautiful. It was boring. I wanted to be where the action was. I based Castle Bigelow and the surrounding area on several Somerset places, from Shepton Mallet, where my parents have lived for half my life, to nearby Wells, to Frome, where I regularly visit my publisher, Castle Cary, where the station is, and even Pilton, where the Glastonbury Festival takes place. They’re all places that I’m hugely fond of. We holiday in Cornwall and I got married there. I may live in South London now, but the West Country regularly draws me back. It can be hard to find jobs and housing, but it’s a thriving, creative centre, brilliant for writing, fashion, vintage clothes and great bands and I wanted to write about that too. The Bigelow Festival in the book is based very slightly on Glastonbury which, as a local, I get to visit on the Sunday each year, but also on the many much smaller literary festivals I’ve been lucky enough to perform at. They’re usually in country towns and the setting is absolutely gorgeous. I’m in the strange position these days of living in London and travelling outside it to do the fun stuff. The bright lights are happening everywhere. If you want to picture Castle Bigelow, I recommend watching Hot Fuzz, one of my family’s favourite films and a work of genius by Simon Pegg and Nick Frost. It’s filmed in Wells and is a love letter to the West Country, combined with a shoot-em-up comedy thriller. If you want to see the good citizens of Wells brandishing pistols and shotguns in the market square – and I think you probably do – then this is the film for you. In You Don’t Know Me, Sasha pictures herself joining a band and writing songs on the beach in Malibu. But if she became very, very successful, I know what she’d do. She’d invest her money in a beautiful house set in the rolling fields around Castle Bigelow, like another character in the book. She’d find herself surrounded by other creative people, as well as the landscape that’s always inspired her, and realise that in her heart, she was lucky to be able to call this place home. Categories: England, Guest posts, Somerset | Tags: Sophia Bennett | Permalink. It was all so good. Sasha and Rose. Best friends in a band, singing together. Right up to the finals of Killer Act when the judges tell them one of them must go. Suddenly their friendship is put to the ultimate test. On TV in front of millions. Two girls. One huge mistake. Can they ever forgive each other? Categories: England, Romance, Social/Family, Somerset | Tags: Sophia Bennett | Permalink. Set in Georgian England, fifteen-year-old Sophia is trapped by the limitations of living in a man’s world. Forced by her father to give up everything she loves, Sophia is ordered to make a new life in Bath. By day, she is trapped in the social whirl of balls and masquerades. By night, she secretly swaps her ball gowns for breeches, and turns to highway robbery to get her revenge . . . When one man begins to take a keen interest in her, Sophia must keep her distance, or risk unmasking her secret life. The Girl in the Mask is on our UKYA Top 100 list. Categories: England, Historical, Social/Family, Somerset | Permalink.